I’ve lately added about 99+ more products to my hair styling regime, all of which are designed to give hold and extra volume. The process involves blow-drying every product through and then setting with a viciously powerful-hold hairspray. Although I love the result, all this dries my hair out something chronic and after spending last week with it needing to be styled every day, even a good shampoo and conditioner is no match. Have you had a similar experience? So, Rahua Hair Detox and Renewal Treatment Kit was well received (actually given to me by the lovely Cemo in the photo above). 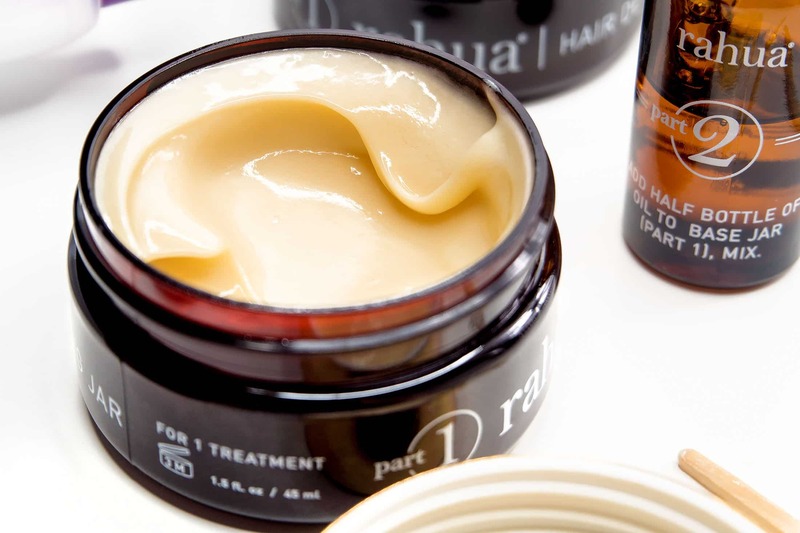 A treatment kit for frazzled hair and great for hair that’s been colour treated on any level. 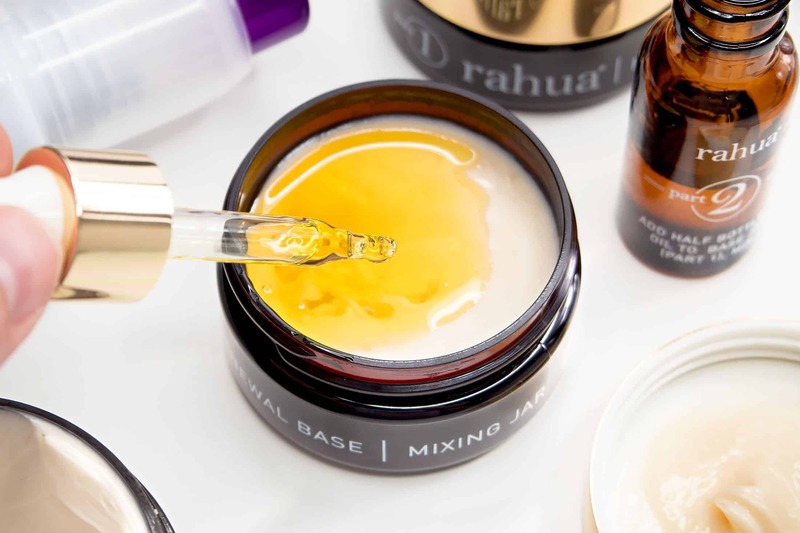 The Rahua treatment is 100% natural as although I try to go for very complex skincare, I like my hair treatments and cleansers etc to be as natural as possible. But just because it’s natural, doesn’t mean it’s not effective – totally the opposite with Rahua in fact! So what do you get? The kit comes with a vial of magical elixir oil, two mixing pots and two mixing sticks. The pots are filled with a Rahua masking base whilst the vial of oil contains all the magic ingredients that will give your hair life. 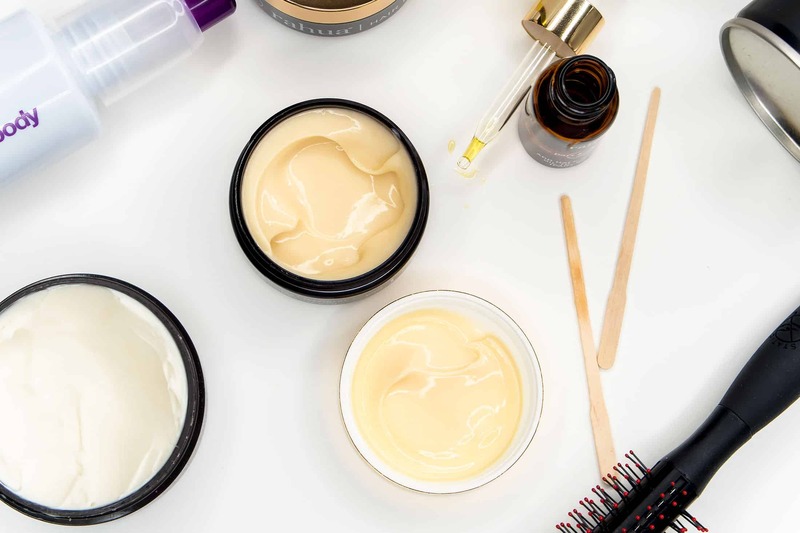 The mixing pots contain a water and aloe based hydrating mask and is filled with butters and emoliants to restore moisture. The oil is a blend of 8 different exotic oils, including the Rahua famous Paulo Santo which gives their products the most amazing incense scent. 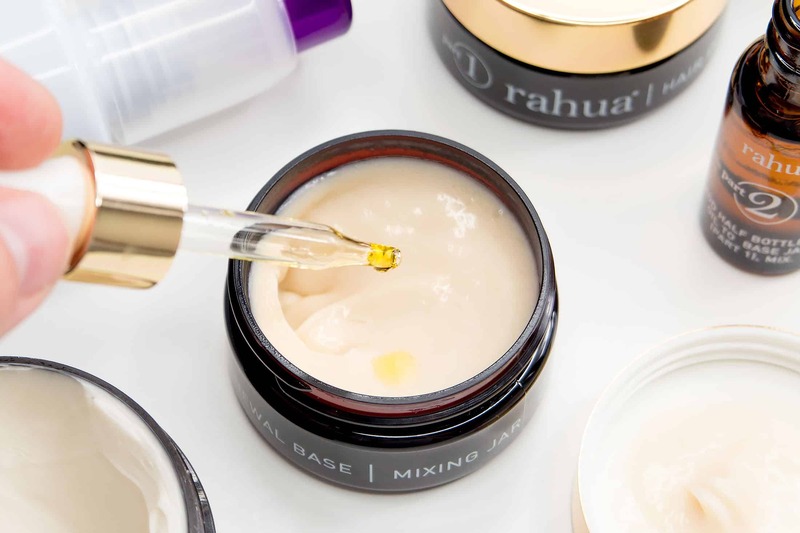 Finally Rahua oil is the magic ingredient that the brand gets its power from enriched with fatty acids and restorative properties. This is more than just a treatment, it’s a complete ayurvedic, holistic and olfactory experience – it just makes you feel good! All you need to do is drop in half of the bottle of oil into 1 mixing pot. Now when I did it, I started with the dropper bottle, and then used the mixing stick to work it in. Then the Yorkshire in me took over, and I instead poured the half of the oil in (still photographed it with the dropper to look all sophisticated and delicate), put the lid on and shook it to within an inch of its life – this worked like an absolute charm. What you’re left with is a luxurious golden hair treatment. Apply this into the hair and scalp (either damp or dry – I’d say clean and dry as oil floats on water) then use a comb like a tangle teaser or my Denman Scalp brush to massage into the hair and scalp. The scent is incredible. Then leave in for 20-30 minutes (although I ended up leaving it for about 45 minutes) then rinse it out with your normal Shampoo and conditioner. Once your hair is dried afterwards, you will see and feel the difference. Colour is brighter, hair is shinier (but a real natural shine, not like those cheap ‘shine boosting’ products you can pick up) and it’s softer than you’ve ever felt. I cannot rave about this treatment or results enough! This article first appeared on MANFACE written by Thom Watson. It was published on Wednesday 7th September 2016 and was last updated on Monday 3rd April 2017 at 12:43pm. 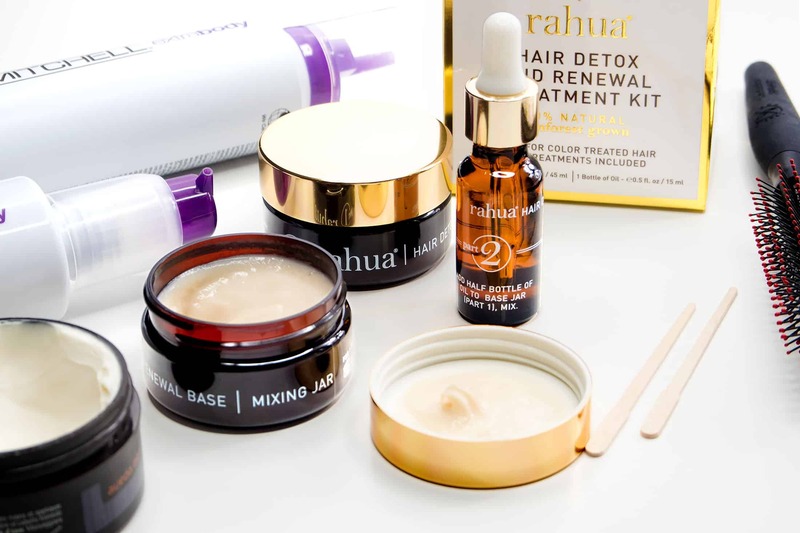 It's categorised under Editorials, Rahua, Treatment where you'll find more related content. Haha definitely an odd gimmick but agreed! One of the best masks I’ve used so far. Interesante articulo . Aprendo algo con cada blog todos los días. Siempre es grato poder devorar el contenido de otros escritores. Desearía usar algo de tu post en mi web, naturalmente pondré un enlace , si me lo permites. Gracias por compartir.